Atec, Inc.’s Purchasing Department is responsible for expediting all orders after placement with a supplier. We understand that lead time is a big challenge and a primary concern for every project. Atec evaluates all long lead times for our projects with maximum attentiveness. Our internal engineering and production teams are able to expedite supplier deliveries and fabrication efforts. We can offer compensation to suppliers for expedited delivery schedules or for sourcing hard to find/obsolete parts. We are confident that we can efficiently deliver within all time frames set forth thanks to the full commitment from our suppliers and Atec’s proficient forecast projections for reduced delivery times for long lead items. We carefully monitor order progress through our Global Shop corporate network ERP system to prevent schedule slippage before special efforts are needed. Celtech and Hager Machine are also on our GlobalShop ERP system, with Vital Link targeted to be networked during 2017. All of our companies are linked to our famous 24/7 urgent hotline for user assistance. We are all committed to speedy help for urgent orders and field problems. In our quest for continuous innovation, we are constantly identifying efficient time saving methodologies to further reduce overall production schedules. Atec has a robust program for supplier selection and surveillance. We make sure that critical materials and components are up to quality standards and that services are provided in a timely manner. As part of this program, Atec will perform PRRs (Project Readiness Reviews) with suppliers. PRRs entail complete analysis of the services or products to be produced with a review of all technical documents, and industry & government requirements/standards. 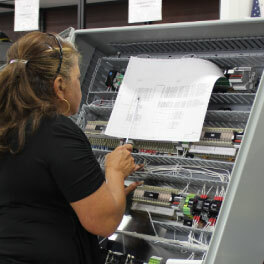 When a prospective supplier is determined to be functionally capable but is lacking formal certifications required by typical contractual flow-down for defense contracts, Atec may provide training/support in getting the certifications required to perform the work or perform final turnkey services to deliver qualified products under Atec certification to the customer.